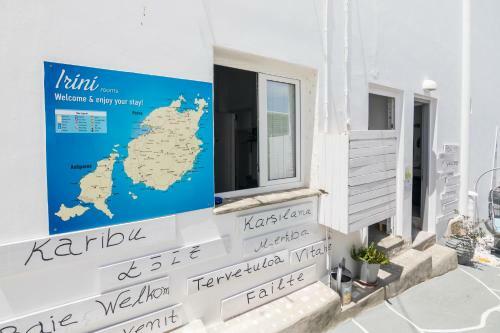 Irini Rooms is located in Naoussa, Paros. The property provides accommodation in quadruple room, family room, twin room, triple room, double room and other might be available upon request. The rooms provide sea view. Room amenities include a/c, tv, fridge, etc. The WiFi is free and available in all areas of the hotel. Pets are allowed with prior agreement with the hotel.